Thank you for your interest in hosting your next organizational meeting at the Holy City Collective. To reserve a conference room (up to 16 guests), please fill out the digital form below, and we will review your request and send you a custom invoice. Payment is due in full within one business day of receipt of the invoice to complete the reservation process. If you have any questions, please email Tiffany Blauert, our Director of Operations, at tblauert@holycitycollective.org. We look forward to hosting you soon! $50/hr or $400/day during regular business hours. Please contact us for after-hours rates. HCC Conference Rooms have a 2 hour reservation minimum for non-members and are only available for booking on the hour. 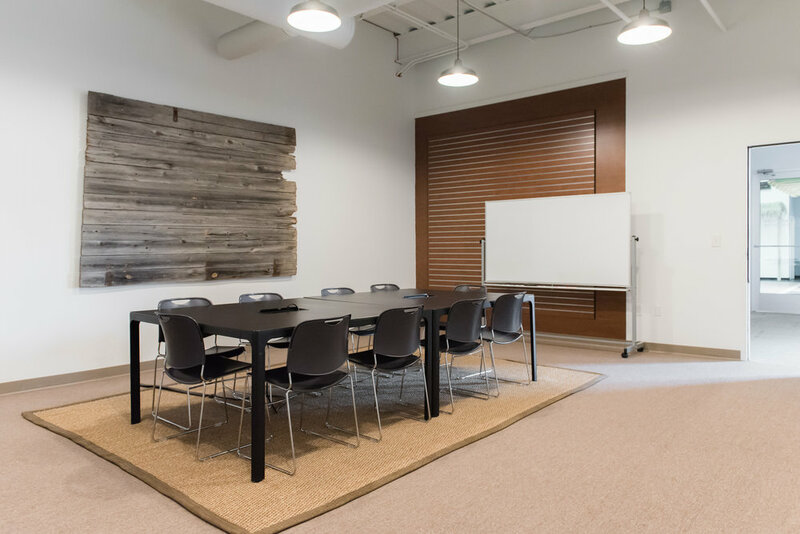 Conference Rooms must be vacated by the end of each party's reserved hours, so please allow adequate time for your cleanup and post-meeting conversations. Each party is responsible for their own cleanup of their Conference Room, including the disposal of all trash in the proper receptacle. Have you allotted time for setting up your items (i.e. food, drinks, presentation setup) before the meeting? Due to conference rooms being reserved on the hour, we cannot guarantee getting into the conference room before your reserved time. Please enter through the main entrance of the building and take a left inside the lobby to enter the HCC. Please check in with the HCC Curator on point, and they will direct you to your Conference Room and make sure you have everything you need. As previously stated, you will not be able to access your Conference Room until your reservation, so please plan accordingly. 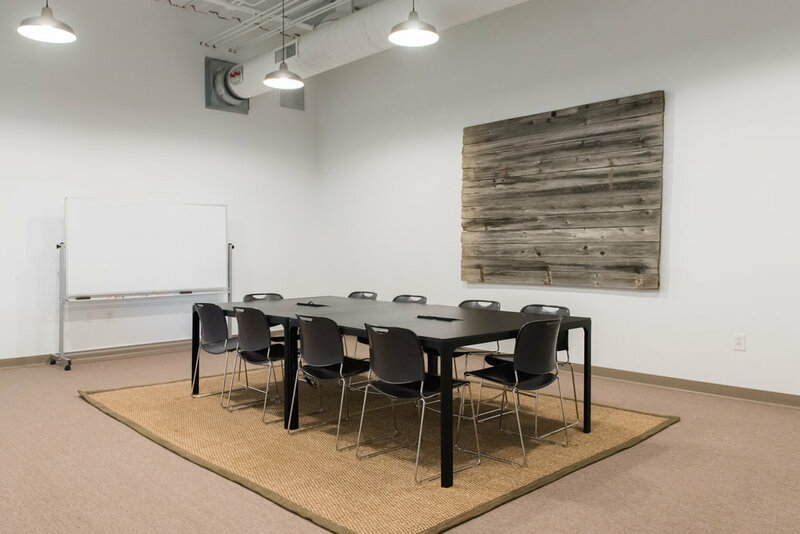 Only HCC members and day-pass guests have access to the Coworking Room, Huddle Room and outside deck areas. Those who book a day-rate for a Conference Room may have access to the outside decks and the refrigerator. We ask that all guests and members of the HCC be highly respectful of the other individuals in our space. The HCC is a professional workspace, where many companies are developing private and secure work. In order to keep the culture trustworthy, we ask that if you see someone’s monitor, white/black board drawings, or copies, please keep it to yourself and erase it from your memory. In the HCC we follow the simple golden rule. No spamming, posting, or downloading of any files, software, programs, etc., that you know are illegal and/or inappropriate. Any hacking or misuse of one’s computer within the HCC will not be tolerated and will be found in termination of facility usage. Every person using the HCC is liable for his or her own belongings, actions, and materials, whether a physical product or computer based software. Should any action cause damage to the HCC, that guest or member will be held liable for the repair. If anything happens such as your computer gets hacked, blog goes down, or someone steals from you, the HCC will not be held responsible. Any cancellations of a Conference Room must be made at least 24 hours in advance of the meeting. Any reservation cancelled within 24 hours will be charged at the full rate of the Conference Room Agreement. Conference Rooms are limited to 16 guests. Full-day rentals are allowed to bring food or have food catered for their meeting. Fine locally roasted coffee can be supplied at $20 per airpot to your Conference Room, with accompanying sugar, cream, cups, etc. Each airpot of coffee holds approximately 13 cups of coffee. I agree to the terms above and recognize failure to abide by this Conference Room Agreement may result in the forfeiture of my reservation and ability to use the HCC, both on the date of my reservation and in the future. Thank you for submitting your request to use a conference room at the Holy City Collective. Please give us one business day to respond. In the meantime,feel free to contact us with any further questions. "My team absolutely loved the Holy City Collective as our recent meeting venue. The feedback I received was consistent: the comfortable atmosphere led to a more relaxed environment that enabled team building, collaboration, and powerful strategic conversations. My team has made me promise that I will never again stick them in a stale, windowless conference room for a day of PowerPoint. Now that they've had a taste of the Holy City Collective there is no going back!"